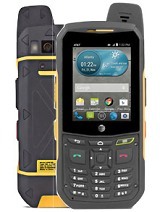 If you want TOTAL DURABILITY and all-around capability, buy this phone. For soldiers and adventurers. can the sonim xp3 sentinel sent a mms ? with the GPS work as a compass ??? Dennis, 23 Jun 2010who buys this?This phone was specifically designed for lone workers. It is equipped with specialized software solutions to keep workers in remote areas safe. ecko, 18 Jul 2010gps or a-gps? 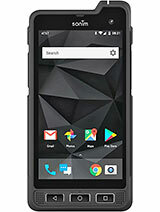 The Sonim XP3 Sentinel equipped with GPS tracking capabilities and navigation applications. was this in the matrix? Hope this one isn't so slow as Quest, have bigger and easily readable fonts and usable GPS. I will never again buy Sonim without exact checking of software stability! I had too many troubles with it... but still like the design. weird looking phone O_O really! Sentinel? how bout the scourge? haha. lol. touh phone. Form is good enough. Reliable Battery life. I think i need one. Apik tenan. what a tough and strong phone....! Total of 24 user reviews and opinions for Sonim XP3 Sentinel.